Cup Insert Are an Excellent & Suprising Position to Promote Your Brand. Another Great Visual Presence Within Hole is Cup Wrap. Cardboard Magnifier Periscope. Ideal for Concert, Golf Tournament or Sporting Event. Three Wilson Ultra Golf Ball in an Executive Black Tin. Also Available as Tee Tin. Magnetic Ball Marker with Sturdy Alloy Clip. Golf is most often known as the game of riches and we have few of the best collections to make this game richer. We are well aware that, no one can get tired of playing this enticing game of golf. With more spare time and luxury added in today's life, the passion for golf is increasing day by day. 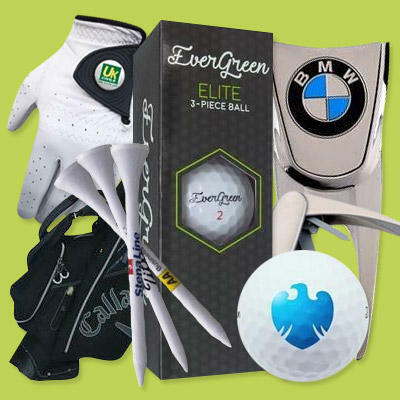 You can get all these unique items added in your golf kit with your personalized logo to leave the everlasting impression. Or make your elite customers happy with this extravagant New Year's gifts or on the coming occasions. Our huge assemblage consists a wide range of golf items such as Titleist Backpack Rucksack, Adidas Clutch Stand Golf Bag, Wexford Golf Ball Tin In Black, Wexford Golf Tee Tin In Black With Silver Trim, Callaway Chev Org Stand Golf Bag, and many more to make the golf playing experience more sparkling and stylish.